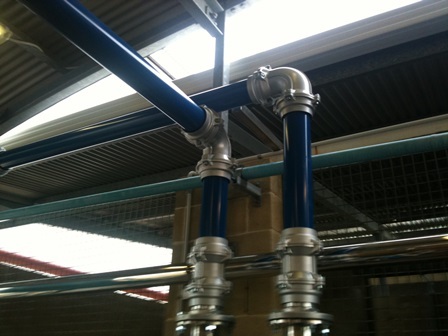 Infinity Supply, Design, Project Manage Case Study with Fonterra Dairy Manufacturer in 2010. 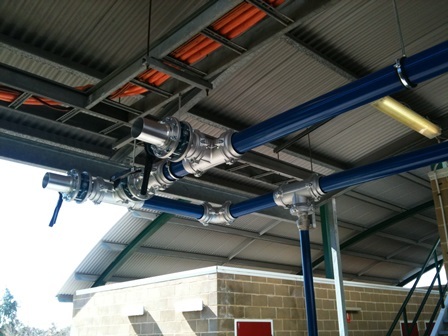 In a response to Fonterra’s prevailing issue of pressure drop throughout their factory, a 70m long Infinity piping system was installed. 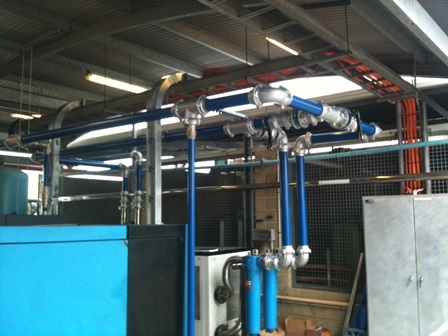 Connecting three compressors and two dryers with bypasses, the system was successful in optimising flow, reducing turbulence and maintaining pressure. 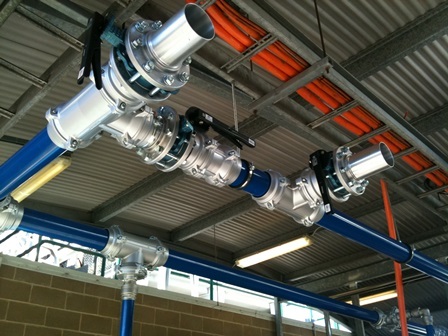 High Flow pipe and fittings were installed. 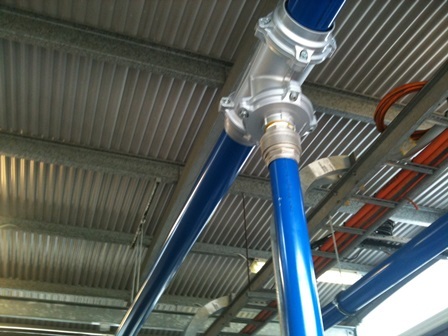 Specifically designed for long ring main installations in large factories, the High Flow Series feature a cast aluminium construction, offering the same benefits as the original nickel-plated range: easy push-fit installation, minimal leakage and laminar fluid flow. Lighter in weight and more compact in size than their nickel-plated predecessors, the aluminium series fittings boast the additional advantage of improved durability and a significantly higher, more stable velocity, particularly useful for long runs. Whether you are in need of project management, technical information, design solutions, installation, or just some advice, contact Infinity today.